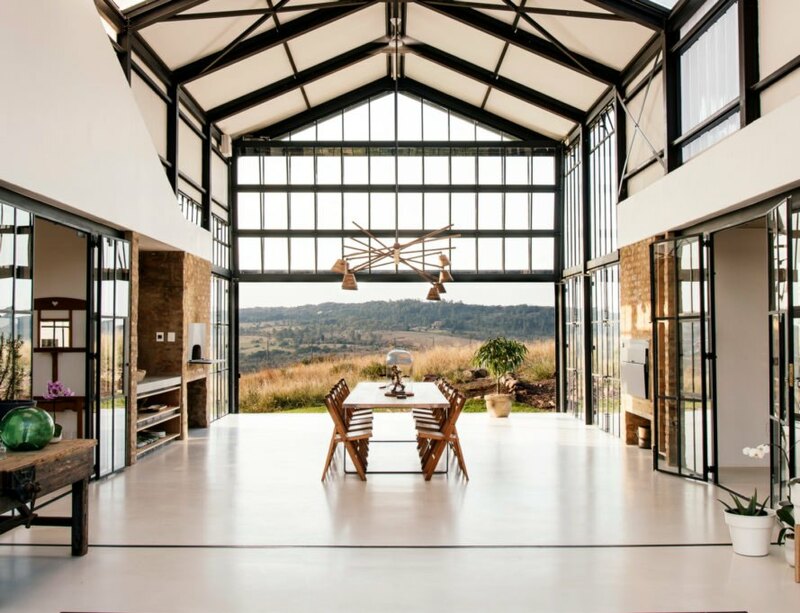 South African architect Nadine Engelbrecht has unveiled a stunning family home in her hometown of Pretoria. The design was a result of working directly with the homeowners, who wanted a peaceful off-grid retreat where they could escape their hectic urban lifestyle. 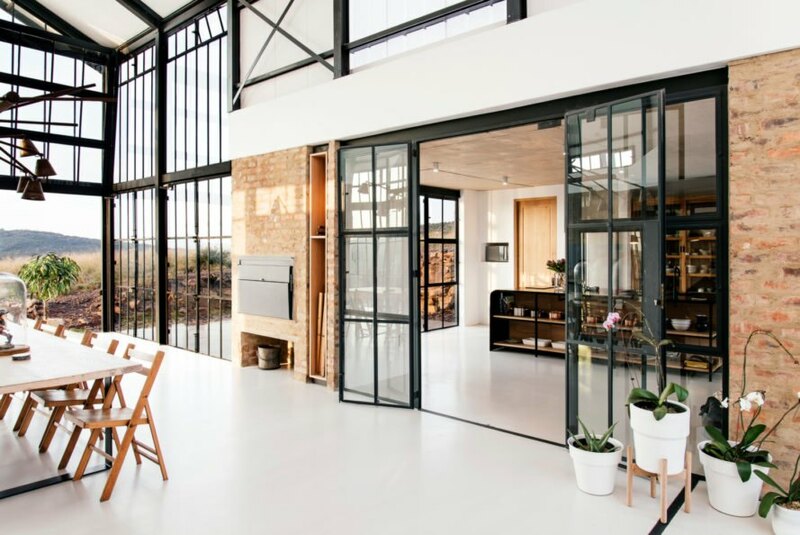 Connecting design with the gorgeous surroundings, the house’s best feature is a massive conservatory that brings in a wealth of natural light and acts as a passive heating and cooling feature for the solar-powered home. 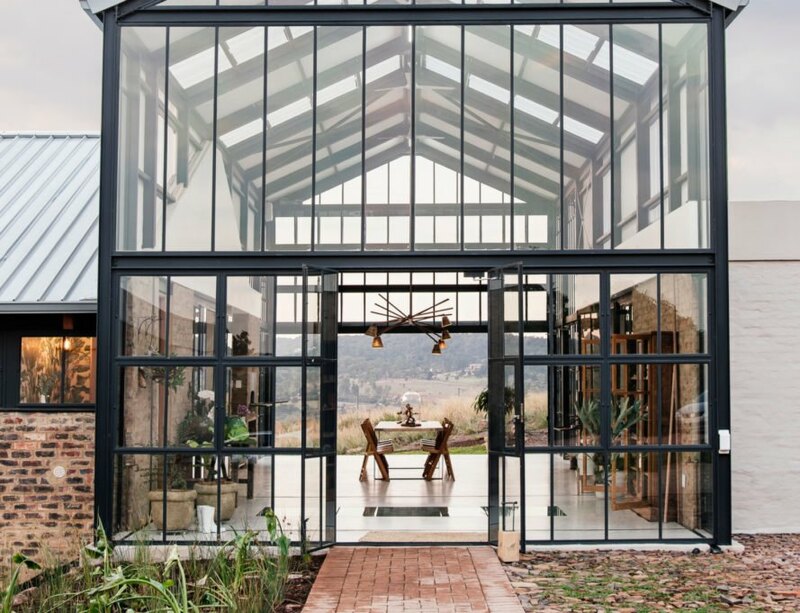 At 6,400 square feet, the Conservatory is a sprawling family home located on a 35-hectare farm outside of Pretoria. Cement washed bricks were used for the main volume of the house, which is attached to the large glass conservatory framed in black steel. The volume of the home was created to meet the needs of the homeowners, who requested a very spacious, one-story living area for two. This space is contained in the conservatory and adjacent living space. The rest of the structure houses guest suites that can be effortlessly separated from or integrated with the main home. Besides the homeowner’s layout requirements, the surrounding environment drove the project’s design. The home was built into the sloped landscape, which is covered in natural grass. The lower portion of the home is partially submerged into the hill, allowing veld grasses to cover a portion of the roof for a seamless connection to nature. This connection with the landscape continues through the interior thanks to the huge conservatory built into the core of the brick home. The glass structure, which is topped with translucent roof sheeting, provides spectacular views and also allows for passive temperature control. In the colder months, the glass panels allow solar penetration to warm the space. The area beyond the conservatory was built with glass partitions, which can be opened to allow warm air to flow throughout. In the warm summer months, the automated glass facade opens up completely to allow natural cross ventilation to flow. In addition to the passive temperature control features, the stunning home was built to operate off the grid. Solar panels on the roof generate clean energy, and the water installations are designed to conserve water and reuse any gray water. 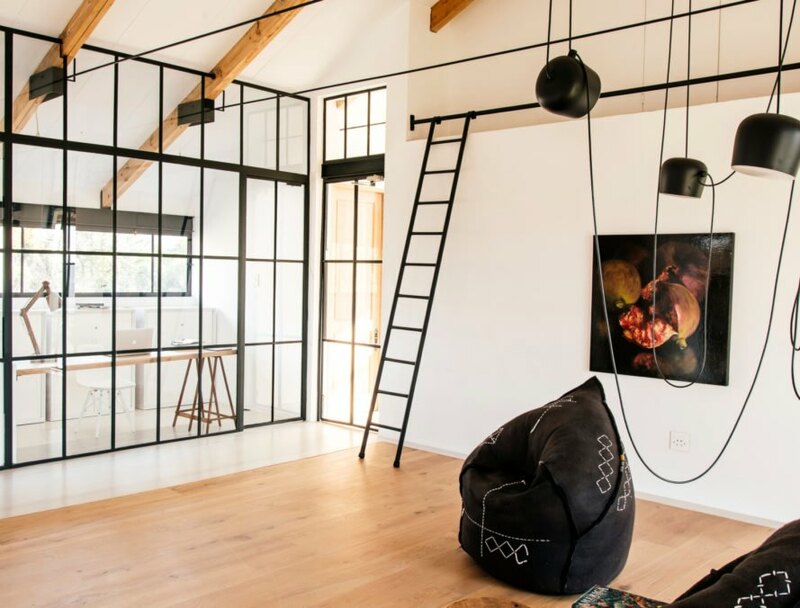 Nadine Engelbrecht designed the Conservatory as a retreat from the clients' hectic urban lifestyle. The front glass facade brings in plenty of natural light. 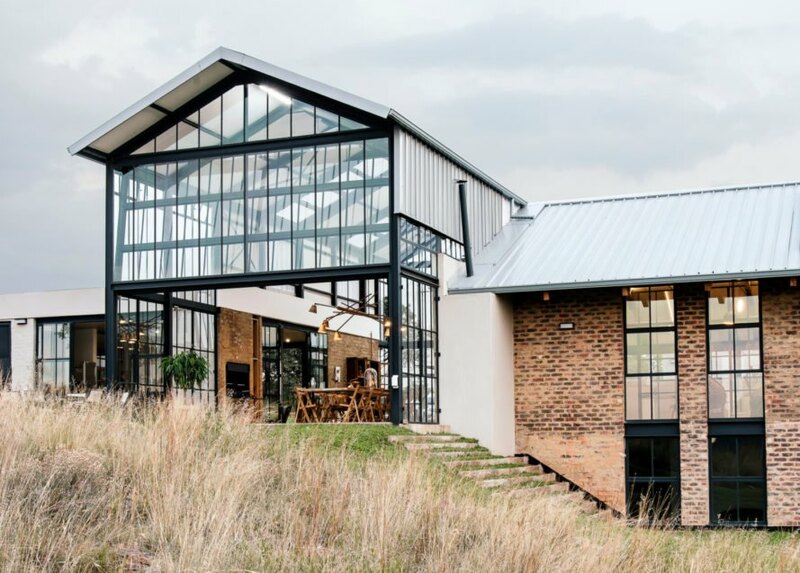 The house is located on a 35-hectare farm outside of Pretoria. The home covers 6,400 square feet. The large glass structure is the most prominent feature of the home. The interior space is illuminated by natural light. The design is open and inviting. 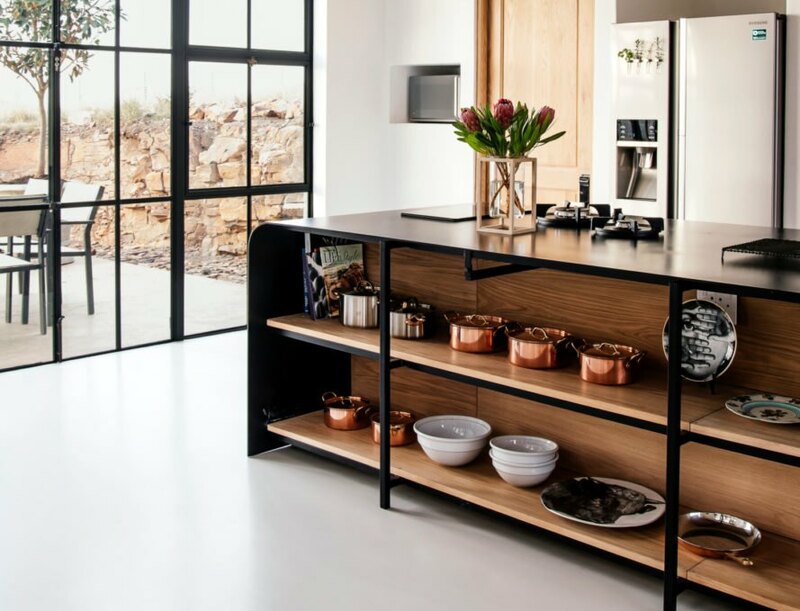 The home is clutter-free thanks to built-in shelving and storage. Shades can be easily pulled out to block the sun. 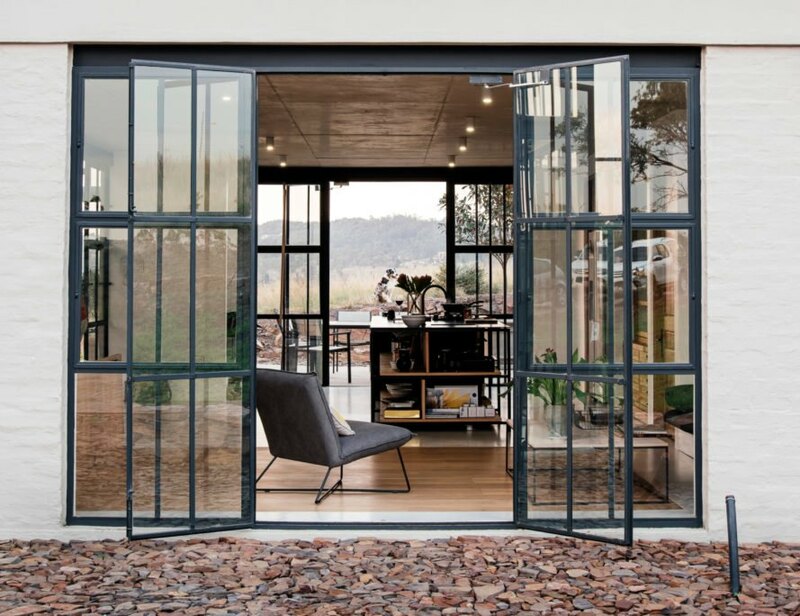 The combination of brick, steel and glass gives the home a modern aesthetic. Multiple glass panels serve as some of the walls on the interior. The home was intentionally decorated with sparse furnishings to put the focus on the natural surroundings. Minimalist touches flow throughout the living space. A formal dining area is in the basement. The glass conservatory is a passive heating and cooling feature. The retreat is meant to seamlessly connect to the beautiful surroundings. The large glass conservatory adds a sense of whimsy to the design.